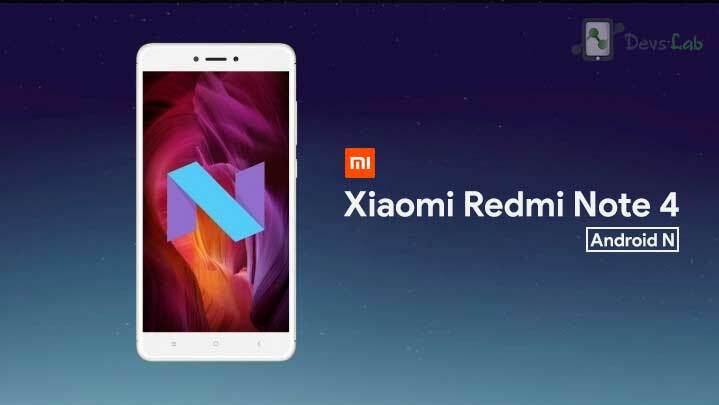 Soon after Xiaomi launched its budget smartphone Xiaomi Redmi Note 4, the company has released Android Nougat 7.0 beta that it promised during the launch. Android N would not only improve performance but also battery life & would offer much better user experience. 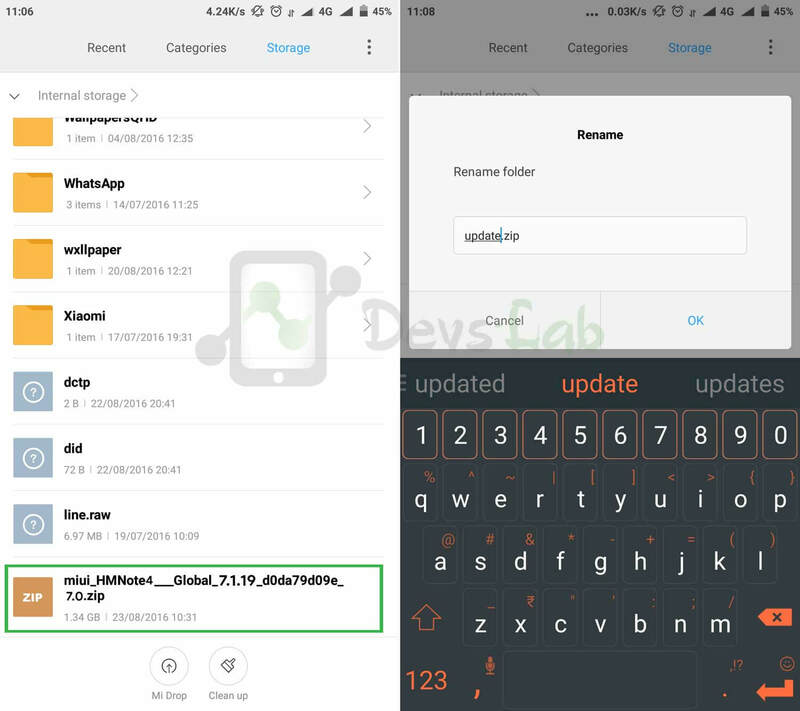 After receiving the Redmi Note 4 users complained about the different bugs MIUI in Note 4 has. This might be the only reason things are happening quickly in MIUI. Xiaomi has released Global MIUI Nougat beta for Xiaomi Redmi Note 4. Update: Stable Version is available now! The beta firmware might be having some bugs as its still under development. Despite being in beta version, Xiaomi says that the ROM is very stable & can be used as a daily driver. This would be the perfect chance to use Android N in your freshly ordered Xiaomi Redmi Note 4. The installation procedure is very easy & anyone with basic knowledge of Android can perform it. This early beta indicates that Xiaomi might release the stable OTA very soon in Feb 2017. 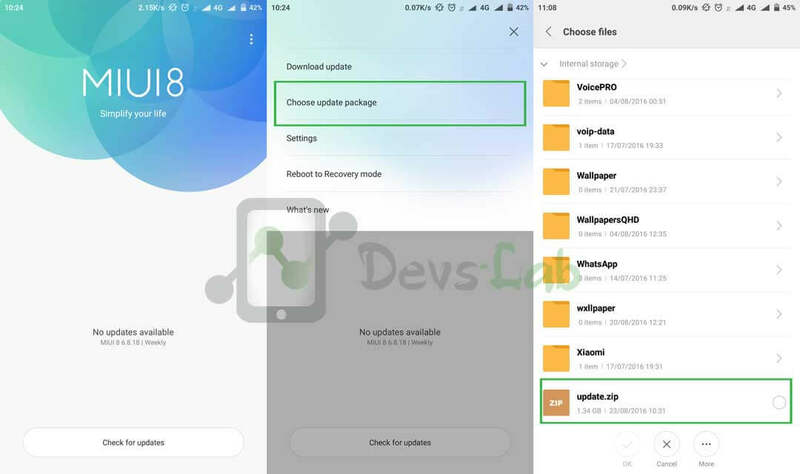 The MIUI 8 global Stable ROM 8.2.2.0 based on Android Nougat for Redmi Note 4 is still in beta & you might have few issues like Random restarts, App crashes, Freezing of Apps, phone not responding or anything. If you’re ready to face any of this problem, you’re are true warrior & you can proceed with the installation steps. Stable ROM is released now. Everything works pretty fine with the latest Nougat update. Please download the ROM from above link. Make sure your battery is above 60%. Always take back up to be on safe side. Backup file will be created in : Internal Storage> MIUI> Backup> All Back up. Copy the recent back up file on PC or on your USB OTG drive. Then go to Settings–>Additional Settings–> Backup & reset –>Local Bakcup–> You will find the backup file –>Tap on it to restore. Step 1. Download the ROM & transfer it in your device’s internal storage. Make sure you don’t put it inside any folder. Step 2. Rename the downloaded file to “update.zip” and save it. Step 3. Reboot your Xiaomi Redmi Note 4 in Mi Recovery mode. 1st Method: From Updater app you can reboot into Recovery Mode (Check image below). 2nd Method: Turn off your phone and press Volume up key + Power Button key simultaneously. In Mi Recovery mode, you can use Volume up & down button to navigate and Power button to select. Step 4. Navigate to “Install update.zip to System” and confirm installation by navigating to Yes. After the process is Complete tap on “Back”> Reboot. 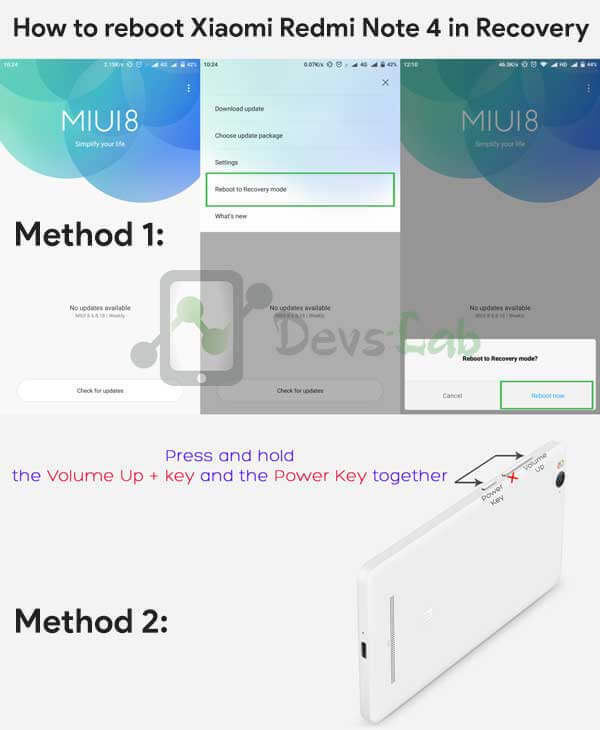 This will boot your Xiaomi Redmi Note 4 into latest MIUI 8. Step 1. Download & transfer the ROM in your Redmi Note 4. Step 2. Open Update App in your device & tap on top right corner. Step 3. Click on “Choose update package” & locate the ROM file. It will install the ROM file automatically. Step 4. Once the updating process starts, you will get “Getting Info” written at the bottom. Don’t do anything, it will automatically begin the updating process. The Xiaomi Redmi Note 4 is overall a very good smartphone & a competitor of Huawei Honor 6X. Because of the poorly built MIUI for it, the phone was having different problems. But now you can flash this latest Android N in Xiaomi Redmi Note 4 & play with your device in peace. Let us know if you faced any issue in the comment section.